We are a design company specializing in decorating and interior design. Founded in 2010, we have assisted with many projects in the greater Vancouver, WA / Portland, OR area. Here at RE·BLOOM Company we wish to design in a way that makes our clients comfortable, helps them find beauty and meaning in their life and always, a bit of humor. If we haven’t met, we look forward to the chance! Marisa Kaski got her start as a merchandiser in a furniture shop. She then went on to decorating clients homes. Marisa was raised in and around the building industry, this gives her a knowledgeable background for her design projects. In each project her interest lies in the architectural lines and the feng-shui or feeling of the space for her client. Heidi Farrell grew up in the home design world. With her father a home builder and her mother an interior designer, she had a love and understanding of it from a young age. After marrying and having two kids of her own she continued her education through Heritage School of Interior Design. Heidi graduated with her CID and has been helping clients and friends since. Her goal is to create spaces that reflect the clients personality beautifully keeping form and function in mind. Native Oregonian, Bassist College grad and textile expert, John Thompson teaches at PCC and educates clients in quality products and good taste. With residential and commercial projects in PNW, Reno and Palm Desert, clients range from first-time home buyers to executives. A former showroom manager, JTD has relationships you need as he combines vision and project management. Local tradesman, custom furniture builders, seamstresses and painters are invisibly supervised during each step of what can be an otherwise error-prone process. Start with hand-drawn renderings of your new space—exciting first images (signed by the artist) you can only hold—leading to the final works of art that surround you. The ones you can sit on, relax under and hug. Regardless of budget, talent and resources are nothing without you. Your inspiration and desire are priceless. Walk in by chance and bring your passion. If home isn’t an important part of your life now, it will be. Walk in by chance or for an appointment to review your project call or email him today. 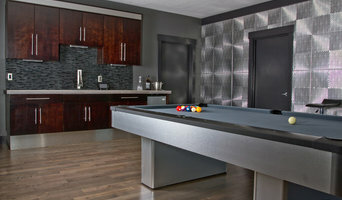 Blink Interiors specializes in residential design. We believe that beautiful, fun, and functional homes can be achieved with all budgets and styles. Full service interior design studio in PDX serving residential and commercial clients with beautiful and innovative designs. Awarding winning Interior Designer - 40 years of making clients homes match their dreams and being considerate and thoughtful of their budgets and needs. Copper Obsessions is my world of art that I create for those wanting something unique. It can be found here on Houzz and also at Amazon. My embossed and etched copper is original and each piece is one of a kind. ENJOY! My other life is surrounded by Koi and a pond business "www.direct2usales.com" selling to the general public at deeply discounted prices to make the vision of enjoying a pond at your home more affordable. I am also a published author on finance and a true crime story, that if you have lived here long enough, you read about. I was raised in a family of artists and have enjoyed bringing back the lost art of copper embossing. You can find my artwork on Houzz or at Amazon under my store name, "Copper Obsessions". I am happy to answer any and all questions you may have. Julia Williams Interiors, LLC is a full-service interior design firm, providing color consultation, space planning, lighting design, furniture/fixture consultation, and professional AutoCAD drafting. I use only the finest resources to help my clients create the home or office of their dreams. I approach every design project as a chance to create something unique. I don't start with any preconceived notions of what "should" be done with a space, but instead work to get to know my clients and how they choose to live and work. 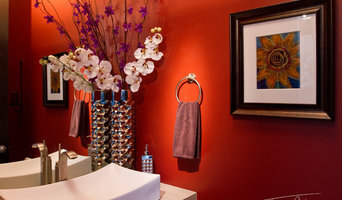 I help my clients identify the design elements that will provide a sense of comfort and tranquility within their space. My degree in Interior Architectural Design, and previous professional experience with commercial, residential, and architectural firms allow me to draw on a broad range of expertise for my clients. 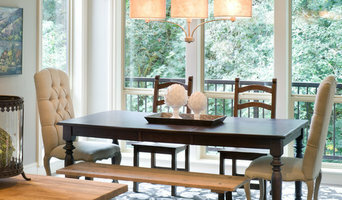 Please explore my website (www.juliawilliamsinteriors.com) when you're ready to start planning your project! Winner of the Best of Houzz 2016 Award. For over 25 years through Allison Smith Design, I have offered both residential and commercial interior design services. My core company based in Portland, Oregon, Allison Smith Decorate with What You Own Interiors ®, makes decorating fun and affordable. But many residential and commercial projects take me across the country and around the globe, such as the popular Western-themed community in Beijing, China I recently designed. We have been featured in numerous articles both in print and online. Some of the publications who've featured us include The Atlantic, Better Homes and Gardens, Oregon Home Magazine, Foreign Policy and China's Top Attitude. 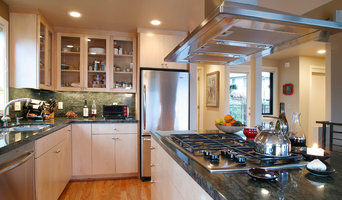 We have also appeared multiple times in The Oregonian and Homes and Gardens of the Northwest.